NORTHBROOK, Ill. — Saturday afternoon in Northbrook, the Lake Forest Scouts had something to prove, not only to the team that won a series against them this year, but also against the same team that knocked them out of the playoffs a year ago. The Warren Blue Devils, who boasted a 19-13 record and were seeded sixth in the sectional were striving for a chance to play Buffalo Grove in the semifinals. The Scouts, who miraculously turned their season around, stood in their way. Connor Morrison took the mound for the Scouts, while Riley Kocen was granted the start for Warren. There was not one point in Saturday’s contest that was not tight. The back and forth battle, in fact, needed extra innings, but unfortunately, the result in the end was not what the Scouts desired. After both teams willed their way through the top of the first without allowing a run, the Scouts scored the all important first run of the game in the top of the second. After Breck Nowik drew a one out walk, Peter Turelli ripped a single to left field, putting the lead runner in scoring position. Then, after Brady Christoph’s sacrifice fly to center field, Nowik came home when Kocen threw a wild pitch giving the Scouts an early lead. Lake Forest looked like they would go on to extend that lead in the next inning, but the Blue Devils retaliated. With two dead in the top of the third and no baserunners on for the Scouts, it seemed like Kocen would get out of another inning without allowing a run across the plate. Caleb Durbin, however, thought otherwise. On a 1-1 count, Durbin launched a no-doubter over the left field porch, sending the Scouts faithful into a frenzy, and giving the team plenty of momentum with a two run lead. Unfazed by the pressure, Warren stormed back in the bottom of the third to erase the Scouts momentum. Things got dicey after Morrison allowed back to back walks to Jacob Nitch and Danny Ahn. From there, both runners advanced on a wild pitch, then Nitch scored on a ground ball to second base. Still with only an out, Nate Rentas sent a double to left field, easily scoring Ahn suddenly tying the game up at two. 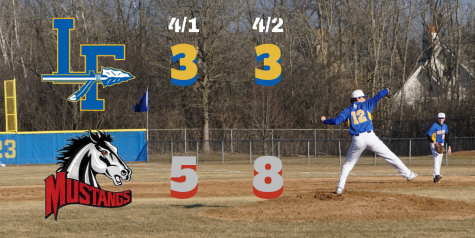 Lake Forest found themselves in some more trouble in the bottom of the fifth. Still in a tie game, Warren had runners at first and second with only one out. Head coach of the Scouts, Ray Del Fava, decided that it was time to make a pitching change. Therefore, he went to his trusty closer Will Woidat still with eight outs to go. It only took two pitches in his relief appearance for Woidat to get out of the inning. Nick Rentas sent a hard ground ball right to second basemen Andrew Gough, who flipped the ball to Caleb Durbin at second in enough time for Durbin to also get Rentas at first. The phenomenal double play ended the inning keeping the game tied at two. In the top of the 6th, Riley Kocen was beginning to look fatigued on the mound. Having faced 22 batters and throwing 96 pitches, Andrew Gough knew when he stepped into the batter’s box that Kocen was no longer throwing his best stuff. On an 0-1 count, Gough annihilated the ball, sending a deep shot over the left field wall, giving the Scouts a 3-2 lead and leaving them only six outs away from advancing to sectionals. 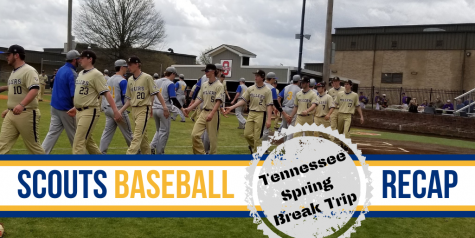 The home run once again gave Lake Forest plenty of momentum while simultaneously quieting the Blue Devil dugout. Woidat was once again sharp in the bottom of the 6th. With one out and a runner on, he completely fooled and picked off Sam Deluca at first, then proceeded to strike out Riley Kocen at the plate ending the inning. In the top of the seventh, the Scouts had no answer for Warren reliever Reece Lawler. The Saint Louis University commit struck out the side preventing any further damage and keeping the Blue Devil deficit at one heading into the teams final at-bats. The intensity of the bottom of the seventh was unlike any other moment this year for the Scouts. After Woidat retired the first batter, Jacob Nitch hit a line drive double to left-center field giving Warren plenty of life. Then after another groundout advanced Nitch to third, the Scouts were an out away from celebrating, while Warren was a single, or a past ball away from forcing extra innings. 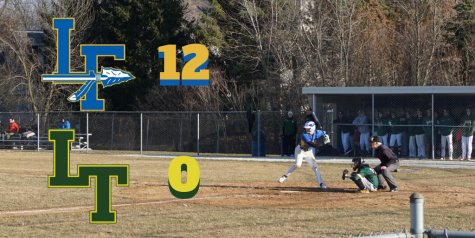 On a 1-1 count, two strikes away from sending the Blue Devils home, Bradley Vondruska hit a deep fly ball to right field. Drew Golde had to retreat all the way back to the warning track before having a chance at making a play on the ball and made a diving effort that was off by a few inches. This allowed Nitch to easily score tying the game at three, which sent the Scouts to their first extra inning game of the season still with the chance of punching their ticket to sectionals. Lake Forest gave themselves a chance in the top of the 8th. JR Naughton drew a one out walk, then Drew Golde had a huge single to right field that advanced Naughton all the way to third. Lawler, who was still throwing gas on the mound was unfazed. He went on to strike out the Scouts next two batters giving Warren a crack at winning the game in the bottom of the 8th. With Golde in on relief, the Scouts looked to extend the game after getting blanked in the top half of the inning. Lake Forest however found themselves in trouble almost immediately. After Nate Rentas was hit by a pitch, Max McCullough’s sacrifice bunt moved him over into scoring position. 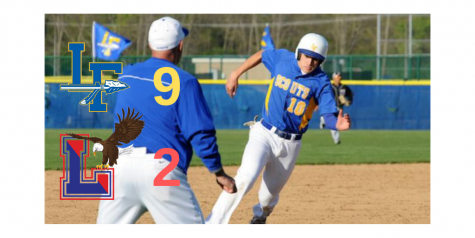 Then, with only one out, who else but Riley Kocen hit a line drive single to center field scoring Rentas and winning the game for the Blue Devils. He was greeted by a dogpile and Gatorade shower by his teammates, while the Scouts looked on stunned. With their 4-3 victory, Warren will move onto play Buffalo Grove Wednesday evening in the sectional semi-final. The Lake Forest Scouts put up a phenomenal fight against one of the best teams in their regional. Big hits from Andrew Gough and Caleb Durbin made the game tight, while Connor Morrison and Will Woidat had solid outings on the mound. The Lake Forest defense also did not have a single error the entire game. The only thing that you could say really killed the Scouts was some costly walks. The Blue Devils drew more walks than they had hits during the game, which could have really flipped the result of the contest. Good teams like the Blue Devils just find ways to win. Lake Forest put their best foot forward, but it fell just short against a very talented team. So that’s a wrap. Back on April 23, when the Scouts were 3-11, it looked like the team would be in for a long, dreadful season, however that all changed. They forgot about their record, and their struggles, then went on an incredible win streak, achieving the .500 mark and beyond, and upsetting teams like Mundelein and Lake Zurich along the way. The Seniors showed leadership, while the talented Sophomores and Juniors showchased the skill that Scouts fans will see on the field for years to come. Together as a team, they overcame adversity, and nearly made it to the sectionals as a 13 seed in the class 4A bracket. Lake Forest finishes with a 19-14 record, which is an improvement from last season. The year did come to a disappointing end, but the team has nothing to hang their heads about. The Forest Scout along with myself would like to wish good luck to seniors Caleb Durbin (Washington University in Saint Louis), Andrew Gough (Middlebury), and Griffin Strang (St. Norberts) who will all continue their baseball careers next near along with, Drew Golde, Shane Lynch, Ryan Lee, Colin McDonnell, David Tanna, Matt Hill, JR Naughton, Will Woidat, Kyle Wix, and Jackson Thomas in their future endeavors in college. 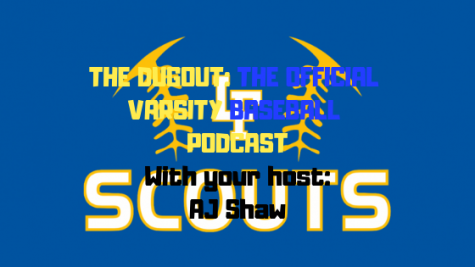 It has been a privilege to cover The Lake Forest Scouts varsity baseball team over the past two years and it is certainly something I will not forget. 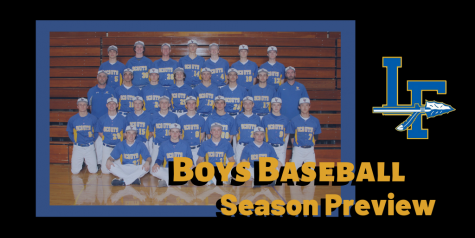 Congratulations to the Lake Forest Scouts varsity baseball team on yet another incredibly successful season, and best of luck for the years to come. I’ve read almost all of these articles. You’ve done an outstanding job and really captured the whole essence of each game. Bravo to you, I got a little choked up reading the last paragraph realizing these won’t be coming any longer. Good luck to you!